Kerala’s Finance Minister K M Mani has been appointed as the Chairman of the Empowered Committee of State Finance Ministers on Goods and Services Tax (GST). The GST, an indirect tax regime, is to be rolled out from April 2016. 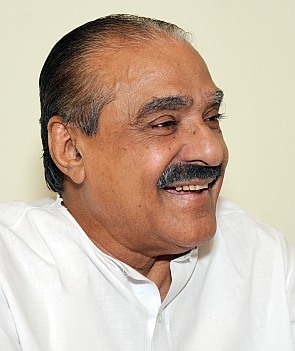 "Based on wide consultations with all the states and Union Territories, there is general consensus that K M Mani, Minister of Finance, Law and Housing, Kerala, may take over as the new Chairman of the Empowered Committee of State Finance Ministers," a statement by the Union Finance Ministry said. Earlier on March 20, the GST Empowered Committee met Union Finance Minister Arun Jaitley wherein state Finance Ministers asked him to select the new Chairman. Although 14 Ministers from the States and Union Territories attended the meeting, a decision could not be taken at that meeting as some Ministers could not attend it due to preoccupation with state budgets. "This is an important development for the implementation of Goods and Services Tax with effect from April 1, 2016," the statement added. The Empowered Committee Chairman's post fell vacant after Abdul Rahim Rather, the former finance minister of Jammu & Kashmir, quit following the defeat of National Conference in state elections held in December. The Chairman of the Empowered Committee has generally been from an opposition-ruled state. Mani fits the bill as he is represents Kerala Congress (M) and is also a senior finance minister. In December 2014, government introduced the long-pending GST Constitutional Amendment Bill in the Lok Sabha for roll-out of the new indirect regime from April 2016 that will subsume various levies like entry tax and octroi. Jaitley hopes that the Bill would be taken up for discussion and passage in the second leg of Budget session beginning April 20. Earlier this month, the Union Cabinet had approved compensation to states for their revenue loss due to phasing out of Central Sales Tax (CST). In current fiscal, Rs 11,000 crore (Rs 110 billion) would be given and the remaining amount in the subsequent two financial years.